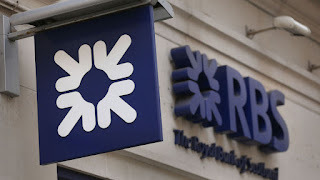 Royal Bank of Scotland (RBS) is on the brink of a multibillion-pound settlement with US regulators over the mis-selling of toxic mortgage bonds. Sky News has learnt that RBS could reach a deal with the Federal Housing Finance Agency (FHFA) as soon as this week, removing one of the biggest remaining obstacles to a resumption of the sale of the Government's stake in the bank. Sources said on Wednesday evening that a settlement - which analysts expect to cost RBS at least $4.5bn (£3.5bn) - was imminent, but could yet slip into next week as lawyers for both sides finalise the agreement. The precise size and timing of the fine have been moving around in recent weeks, and the FHFA penalty could ultimately be higher than $4.5bn, they added. The settlement with the FHFA relates to the mis-selling of mortgages to the US government-backed loan firms Fannie Mae and Freddie Mac prior to the 2008 financial crisis, when RBS was among the biggest players on Wall Street. RBS executives have been keen to agree a settlement as soon as possible as they continue their efforts to return the bank - which is more than 70%-owned by British taxpayers - to profit for the first time since 2007. However, they also have to engage in formal settlement talks with the US Department of Justice (DoJ) about another penalty related to residential mortgage-backed securities - a process which has been delayed by a clearout of senior officials at the agency under President Donald Trump's new administration. The DoJ fine will cost billions of pounds on top of the FHFA penalty. Nevertheless, a deal with the FHFA would be another important step along the road to helping RBS shed its remaining financial liabilities from the pre-crisis era. Philip Hammond, the Chancellor, has been clear that he does not believe the Government should be a long-term shareholder in RBS but believes it needs to resolve many of its legacy issues first. Before the general election, Mr Hammond said that fair value for the stake could be below the 502p paid by the Labour government in 2008. RBS shares now languish at under half the average level at which £45.5bn of public money was injected to save it from collapse. If the penalty from the FHFA is in the region of $4.5bn, RBS will be able to draw on existing provisions it has set aside to pay fines for RMBS mis-selling. In January, RBS took a further $3.8bn charge for settling regulators' investigations, taking the total allocated - and so far unutilised - to £6.7bn ($8.3bn). It is likely to have to add to that if the eventual DoJ penalty is at the higher end of analysts' forecasts. RBS is the last of 18 banks to settle with the FHFA, although a number of other banks are also yet to settle with the DoJ, including Barclays, which is embroiled in a legal battle with the agency. Bloomberg reported on Wednesday that HSBC had opened talks with the DoJ about a settlement. The mis-selling of residential mortgage-backed securities (RMBS) has been - in terms of the scale of the penalties - the biggest scandal to emerge from the pre-crisis era, with investors duped into buying toxic mortgages that were packaged up by banks and sold as ultra-safe.